Briane Nasimok and I go way back. He rode with me in the ambulance that took me to hospital (can’t recall which one) when I fell and split my head open. By then I was of legal drinking age (which has a lot to do with why I fell… but nevermind that, i’m not supposed to be the one making confessions, he is…). And I’d already known him awhile. Yes he’s another one that I met through my older brother. Peter was in the Opera School, then a soloist in Canadian Opera Company productions such as the Faust in the mid-70s directed by Leon Major that gave me a chance to shake hands with Jerome Hines. While Hines might have had a better voice than Nasimok –famously described by Hermann Geiger-Torel as having a lousy voice— that’s not relevant. Nasimok was an extra in many shows, ergo the title of his memoir “Confessions of an Operatic Mute”, that I saw presented as part of Toronto’s Fringe Festival. He’s one of a kind. It’s so perfectly Jewish –like Briane come to think of it—in its oxymoronic contradictions. Groucho Marx would be proud, even if he might sniff at Briane’s debt to various Jewish comedians of the 20th Century. There’s a bit of Jack Benny’s deadpan expressions, a bit of the self-deprecatory manner of Woody Allen recounting his romantic escapades, maybe a bit of Groucho, perhaps with an extra bit of Shelly Berman (after all Nasimok’s middle name is Shelly) thrown in too. The eyes are wide. The jaw sometimes drops open like a fish. And yes, the stories are very funny. 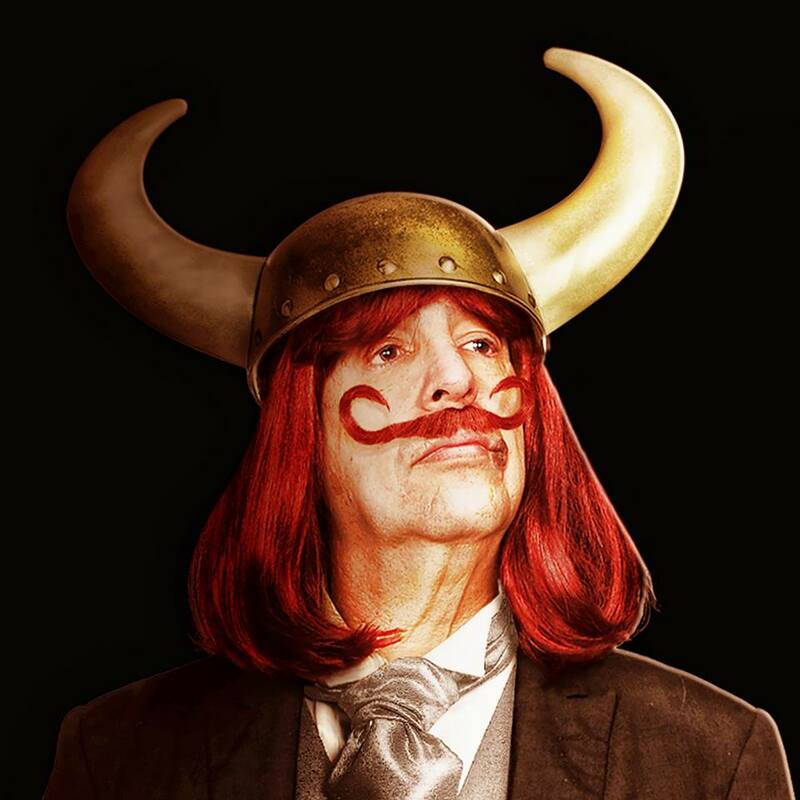 It needs to be said that while this is a hilarious one-man show, it’s also operatic history. It’s a sad commentary on how little we’ve really recorded –and celebrated—of the previous era at the COC, that a comic monologue such as this one is also a treasure trove of Canadian theatre history. Sometimes we’re backstage, sometimes we’re riding the bus on the COC tour that for a time justified the company’s name, taking opera all over Canada. No these aren’t exactly important moments in COC history, not unless we need to know about great moments in amateur baseball and marijuana smoking. But there’s no denying that the extras are still a big part of the show, and represent a fascinating perspective on the show, especially when it comes to getting glimpses of the attractive singers. I too had a crush on Ann Howard (the Amneris starring in one of Nasimok’s anecdotes…who I am sad to discover passed away this year… wonderful voice too!) . But excuse me, these are supposed to be Briane’s confessions not mine. Even so, given the shared history, I sat there knowing the punch line to at least three of his jokes. No it’s not because Briane’s stories are bad or obvious, but because my brother was there too. It’s so magical to hear stories I first heard in the 1970s retold, but from a different angle. Nasimok shows us a very vulnerable self-portrait that didn’t nearly tell his whole story. There’s much more to Briane than what he included here –given his time at Yuk-yuk’s and in comedy. This is just one part of who he is, via a very touching series of stories (and a very welcome reminiscence of Hermann Geiger-Torel), decorated with a gentle bawdiness reminiscent of Philip Roth. There’s one more performance of Confessions to come July 12 at 12:30 PM at the George Ignatieff Theatre, followed by a run in the Winnipeg Fringe later this month. Whether or not you have my interest in operatic history, it’s a fun time. This entry was posted in Opera, Reviews, Theatre & musicals and tagged Ann Howard, Briane Nasimok, Confessions of an Operatic Mute, Hermann Geiger-Torel. Bookmark the permalink.